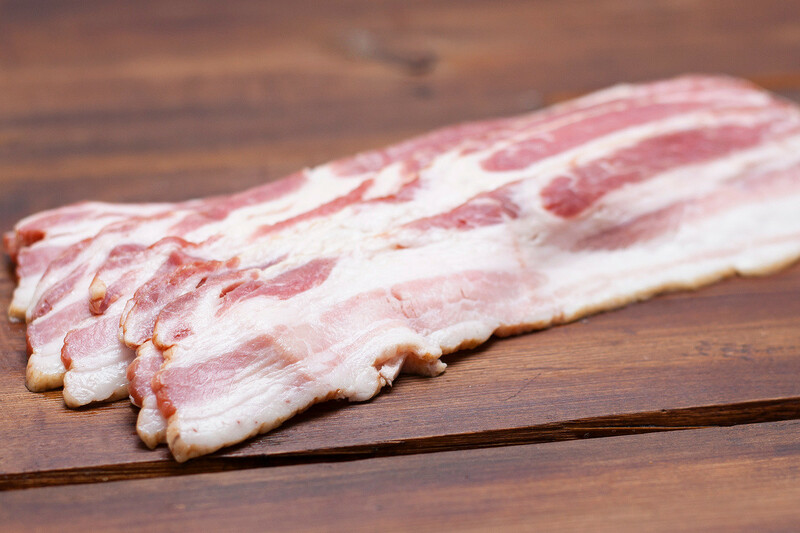 Bacon is cut from the fatty sides of a hog's belly. It is thick-sliced and smoke cured with salt, seasoning and water. A subtle, awesome flavor.